1. How soon the sellers want to close the sale. 2. The average DOM, Days on Market, for the area, as this indicates the speed of sales activity. 3. The prices at which similar homes in the neighborhood or nearby are selling. 4. Possible changing market conditions. The process used to come to a listing price is called a CMA, Comparative Market Analysis. It is similar in some respects to what an appraiser does in their valuation of a home, but appraisers have a different customer and mission. The appraiser is normally working for the lender to determine a home value that is realistic and should cover the interests of the lender if the buyer defaults and the lender must foreclose and sell the home. The real estate agent is trying to come to the highest price he/she can get for their seller client. Here are the steps used by the real estate agent to arrive at the price at which to list the home for sale. 1. First is to determine the features and characteristics of the home to be sold, including the number of bedrooms, baths, garage type, and spaces, as well as overall square footage and other characteristics that buyers will consider in their purchase decision. 2. Next, the agent gathers comparable property sold prices (comps). Three to five recently sold homes with very similar features and characteristics are chosen for the calculation. They should be in the same neighborhood or a similar nearby area, and the sale should be as near in the past as possible. 3. The listing agent then adjusts the sold prices of those comps much like an appraiser does. The prices are adjusted to account for differences between the comp and the home to be sold. If the comparable is almost identical in features and characteristics, no adjustments should be necessary. If it has more bedrooms, fewer bathrooms, or other differences like these, the price at which it was sold will be adjusted by the value of those features to bring it to a number that is more like what it would have sold for with identical features to the home to be sold, the subject home. Example: If the comp has one more bedroom than the subject home, the value of a bedroom is deducted from the sold price of the comp as an adjustment. 4. Once the comps’ values have been adjusted, the square footages are averaged, as well as the adjusted sold prices. Then the average sold price is divided by the average square footage to come to an average price per square foot for the comp sales. This is then multiplied by the square footage of the subject home to arrive at the preliminary listing price. This preliminary listing price may be the one to use, but a careful agent wants to take a look at any current market conditions that could require an adjustment. The sold prices of the comps are from the past. The goal was to find sales very near in the past, but some could go back as far as a few months. The goal now is to see if there are any current market conditions that could be different enough to adjust the listing price. Perhaps the number of listings has dropped, and sales are picking up, maybe due to the season. The law of supply and demand may show that the listing price could be increased due to greater demand and lower supply. The best way to do this is to do another CMA, but this time with comps of currently listed similar homes in the area. They are the current competition. Using the same process, three to five current listing comps are used to see if the resulting CMA price is the same, higher or lower. Using these two results, the listing agent and the seller will decide on the price to list the home. Usually, a bargaining padding is added to allow for some negotiating when a buyer makes an offer. There are other ways to determine a listing price, but the CMA is the most common. Sometimes homeowners will ignore the calculation results and tell the agent to list the home at a higher price. The agent has done their job with the CMA, and the homeowner is then taking the risk of having the home sit on the market longer than necessary and a probable price reduction later. 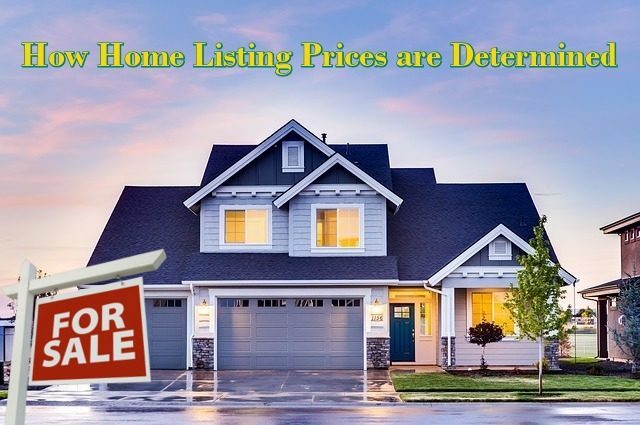 The team of listing agent and seller should get together again if the home hasn’t moved in the expected time period, possibly do another CMA, and they can then decide if a price reduction is necessary. Some of this process is subjective, so there is room in both directions for changes for any reason.